Question: Does it have a “charge remaining” indicator so you know how much power is left? Answer: Yes there are lights on the side that indicate how power is left. Question: How long should you let it charge for the first time? Answer: When I plugged mine in, 3 blue lights were solid and one was flashing. I assumed that meant it wasn’t fully charged. After about an hour or so, they were all solid, so I assumed that meant it was fully charged. There was nothing I could find in any of the documents that explained it, though. Question: Does this come with a AC charger? Question: What do I need to charge up this portable charger? Answer: Usb cord. Included. Can be charged with computer. Or in a wall outlet. But you need to buy a wall plug adapter. Or you may have one with your phone. 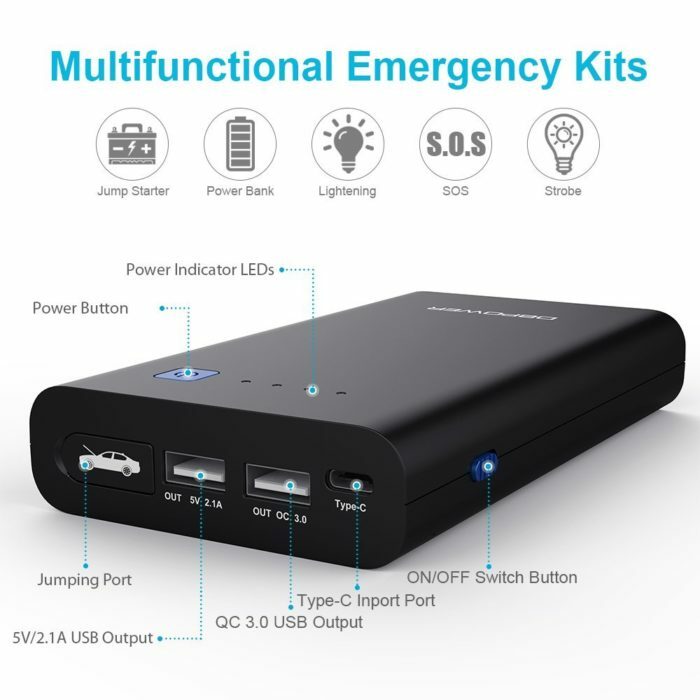 Question: Can the usb-c port be used as output also? or is it input only? Question: tried to use this jump stater following all the instructions but the light indicator of the jumper cables doesn’t turn into green, what happen? Answer: Please make sure the cable has been connected correctly. The red clamps should be connected with the + of the car battery and the black clamps should be connected with – of the car battery. If the light flashes between red and green, please press the button on the cable for 3 seconds to turn the light to green. Question: Will this work for my 2009 Ford Escape? Answer: It should work if your vehicle has a 3.0L gas engine or less. It looks like 2009 escapes either have 2.5 or 3 liter engines. You should be good. Question: Will it work on toyota prius 2012? is it rechargeable? Woke up one morning went to start my car for work absolutely nothing! car refuse to start! 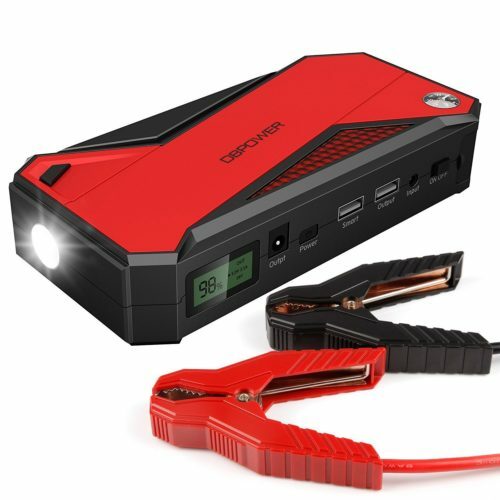 Got online went on Amazon and researched “Portable car jump starter” and read the comments for a lot of similar products. 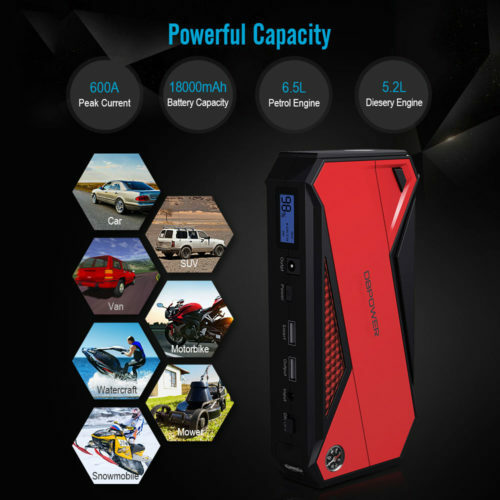 What made the DBPOWER 500A 10800mAh Portable Car Jump Starter standout was its price, options I desired, Amazon reviews and last but not least it is very portable/convenient. Placed order, delivery came On time great service from Amazon Seller UNICSTAR. PLEASE READ MANUAL FOR PROPER OPERATION. 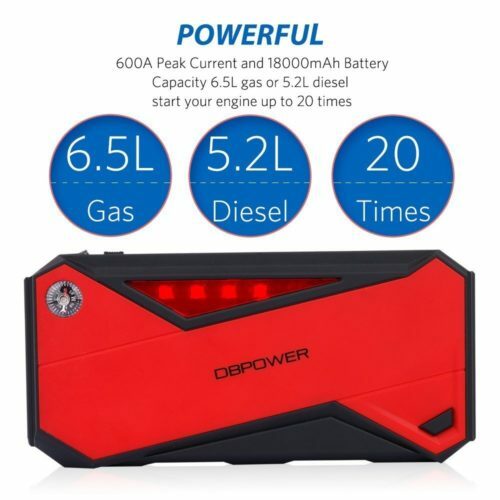 Popped open the car hood connected the DBPOWER 500A 10800mAh Portable Car Jump Starter… I was able to start my car on the first try! Excellent product highly recommend. Very impressed. I’ve had a few days off and enjoyed some well earned rest. My battery had completely drained , due to a loose contact while driving. My DBPower jump starter arrived as a same day delivery via Amazon. Simple instructions , foolproof setup. My Corolla started right up on the first attempt . This tech is light and compact. I stored it under my seat, no fuss! 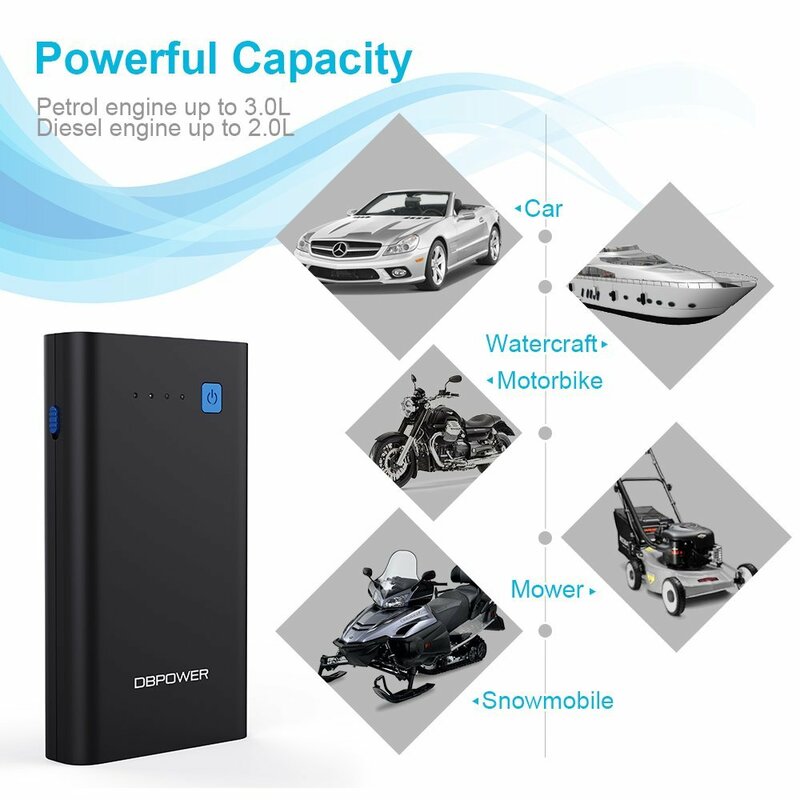 Powerful, compact and convenient for a great price! It was exactly as described and I was able to get my car started on the first try! I am so happy I bought this charger. It also going to work with my other electronics as a charger too! Compact, and worked great on my 2017 Subaru Outback! My car was parked for over 6 months and the battery was dead. I did NOT expect this tiny thing to work but it started the car right up. Incredible. Really love having it as a backup battery for my phone too. So far I haven’t yet used for Jump start, but used for Mobile Recharge. working well. satisfied with the product. 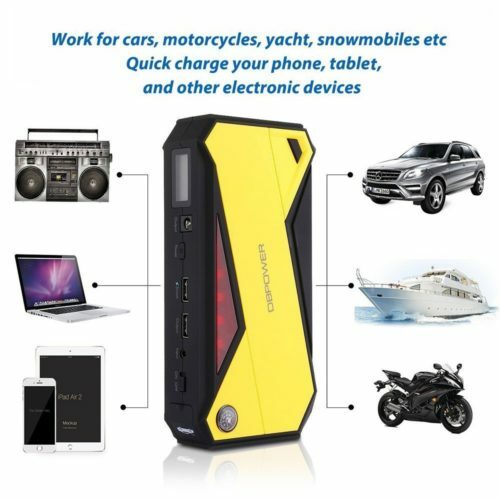 Purchased this power pack for my jetski in case of any problems I might encounter while out on the ocean. Also love that I can charge my phone via usb cable and that it has a light. The size of this jump pack is perfect compared to others that are a little more bulky. I have placed mine in a water proof box that easily fits in the jetskis compartment. Good thing is that I can also use it in my vehicle if ever the need arises. Haven’t needed to jump anything but I have used it to charge up a couple phones and tablets. I haven’t had the chance to use it to jump the car but it is a great phone charger for now. 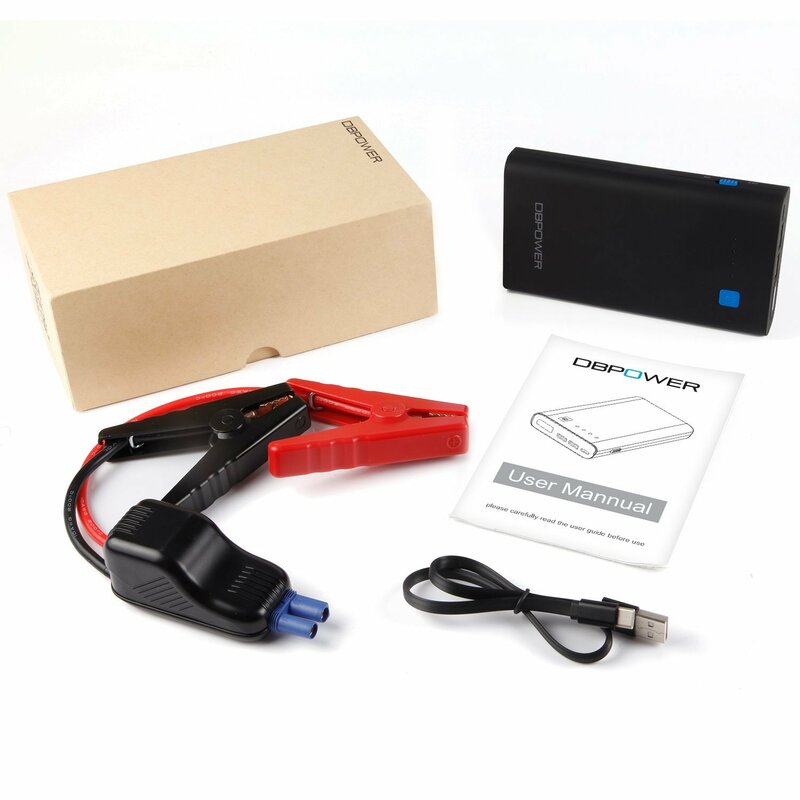 So far, I like this product because it is not only help to jump start my vehicle. I use to charge my cell and my kid’s tablet in a long trip road vacation. So far so good, no problem at all. Should buy one for every car in your family. Great price! I love the compact design of the power supply and the versatility of use. I wish there was a better way to store the jumper cable attachment. My battery died on my 6 cylinder camry and this started it immediately, right out of the box! 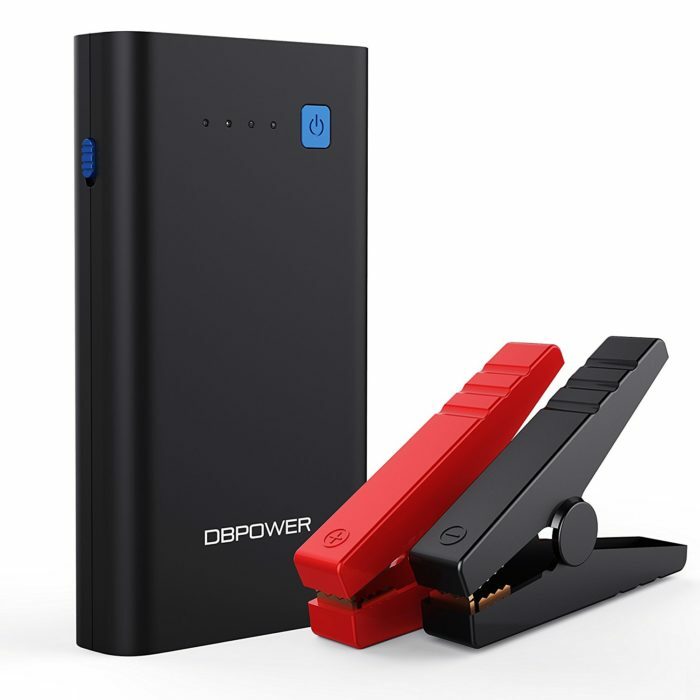 Great purchase, small, convenient, powerful. Amazing product, saved my car! This product works!! I left my 2006 Infinity in my house over the summer for 3 month. When I came back, the battery was completely dead. I bought this battery pack in hope of not towing my car out of the garage. Make sure you charge it full, then remember to press on the button on the jumper cable for 3 seconds. Then let the magic happen! I would definitely recommend this product to other people. It saves me a lot time and trouble. Also, if you have the new version of MacBook, this battery pack has USB C charging port. What a great product!!!! I had a dead Hyundai Elantra, and ordered this to help jump the car. It worked easily and amazingly, immediately jumping the vehicle. 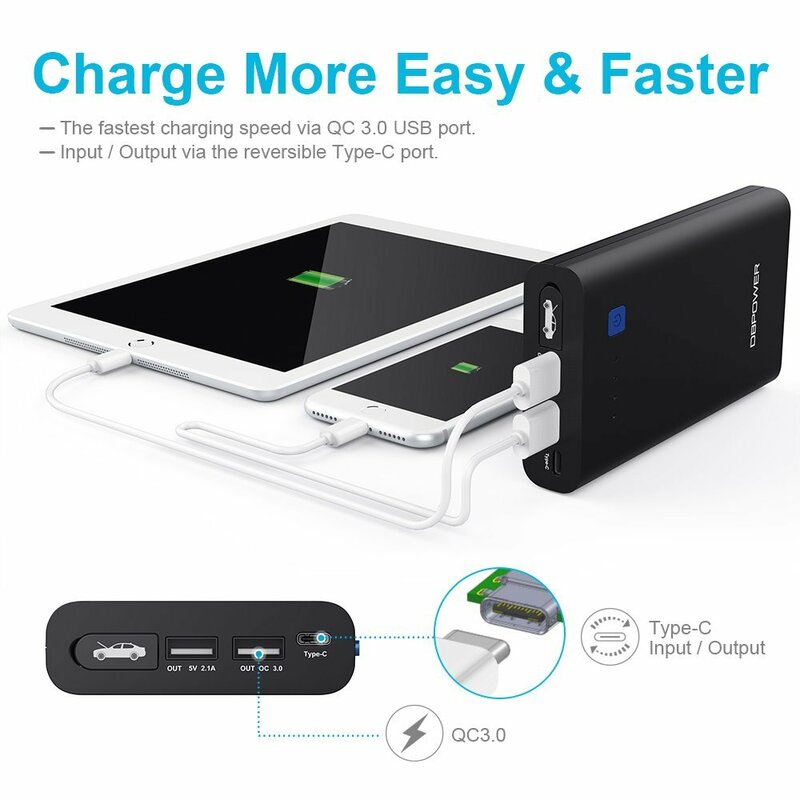 On top of this, it has 3 separate methods for charging electronics as a power bank – a USB-C slot, QC 3.0, and a 5V 2.1A charger. I used the QC 3.0 charger with my phone and it recognized the battery as a fast charger and started to charge quickly. The battery is the size of my phone and about 2 or 3 times the weight. 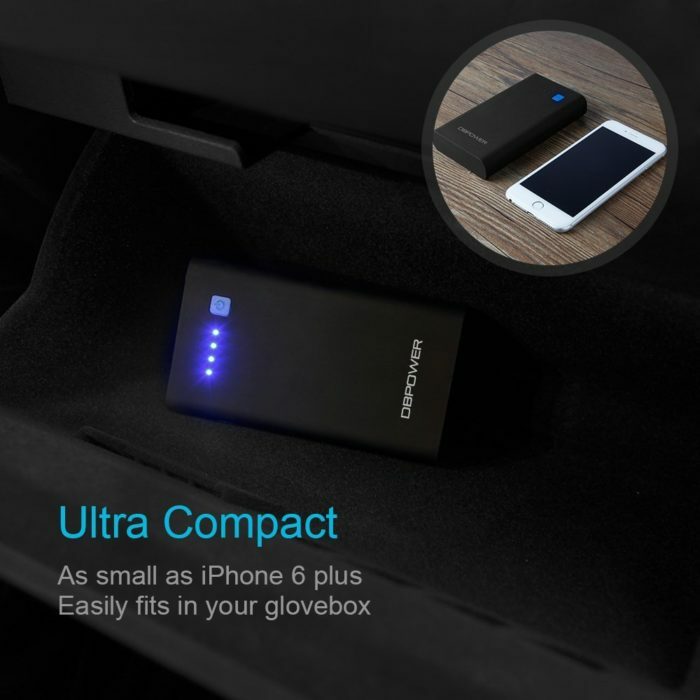 It would easily fit in a backpack or purse, and should hold about 3 full charges for a phone. Works great for my small car. Great customer service!!! I bought 2 units, I had a problem with it and all was solved very quickly to my full satisfaction by the company customer service. Get the newer DBPOWER 600A instead! 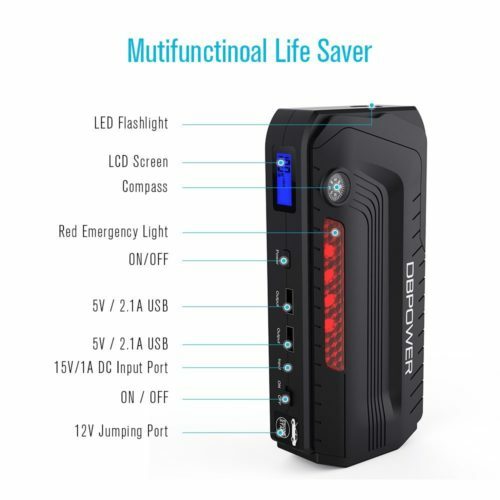 I purchased this in December 2017 charged it, played with it a bit, and used it to jump start my car twice. I needed it again this week and it wouldn’t hold a charge. 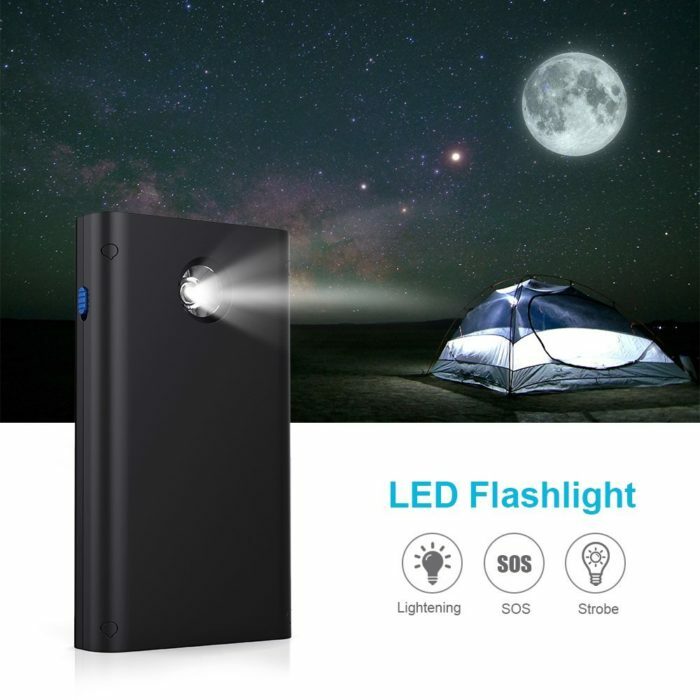 (When I plugged it in it showed one flashing dot for a very long time (12+ hours), and then eventually jumped to showing all four dots, but as soon as I unplug it it fails to turn on.). I talked to DBPOWER and they sent me the newer DBPOWER 600A as a replacement device for free, which has worked flawlessly and has a much better hardware design. I’d say the new one is definitely worth the price increase over this model. This item is a lifesaver! It even started my Nissan Titan V-8! real work! good. i like it. my motorcycle turn on! I ordered one of these for myself and ended up loaning it to a friend when their battery died. I was skeptical that something so small and seemingly easy to use would actually work. But it did! My friend’s battery started right up! The directions were easy to follow, well written. Because of that, I also ordered one for my son’s vehicle so he can carry it in his car. Edit: Bella provided me with the best support and resolved my issue! This is truly a lifesaver! My daughter’s jeep won’t start all of a sudden. We were having a problem since my car is parked in front of hers and there’s no way that we can jumpstart from mine. I remembered that I bought her and her sister this awesome device since they are both out on college. First time to use it and in a jiffy, her jeep was in running condition. 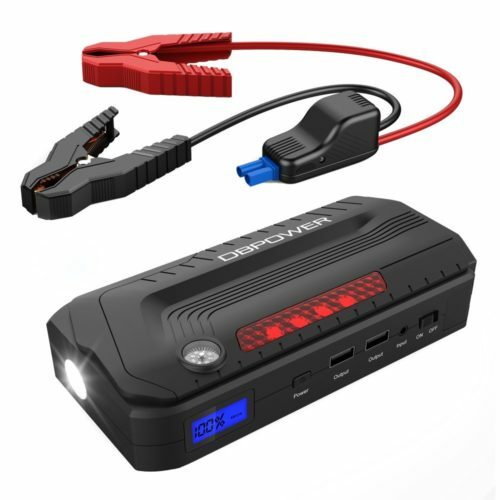 Who would need a man or waiting for your insurance to respond if you have the DBPOWER jump starter? Highly recommended! Looks great, works as advertised. I could start my 2.4L car without any problem. I have used this a dozen times since I bought it and it has worked every time. A perfect gift with affordable price. Don’t forget there are 3 (three) buttons to push. And, if your battery is fully drained, cycle it 13 times (like ten minutes of charging), with a non-blinking green light, and THEN try starting your vehicle! This product works! 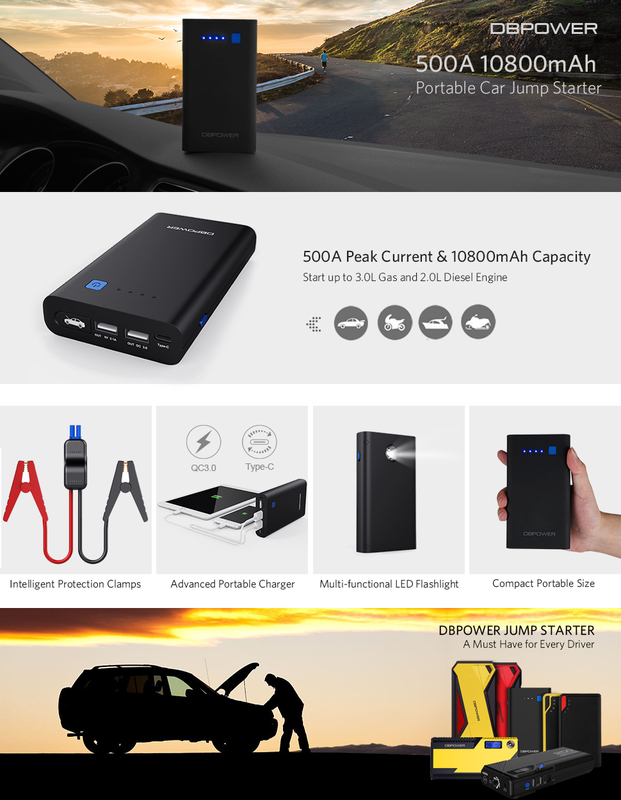 Love the Jump starter but sad to loose charging cable in 3 months. I like the charger. I have used it couple of times to start my Acura and it started every time in one shot. The only gripe I have is that the charging cable is not standard micro usb charger so it can be lost easily and will be hard to find extra. It would be so good if they had standard microusb charging port. Oh BTW, Caution/Note: You need 3A charger for it which is not included in the box. So that might be extra expense and sometimes hard to find. Going to buy another one. No more dead batteries! Yea! Customer Service is in tops. Note: make sure you have enough juice to turn your size Engine. Note the amp hours and your engine size. This little device work very wells and very portable which is a big plus. It did not come with wall plug adapter but is not a problem as I can use my tablet charger with the included USB-C cable to charge it overnight. I jump start my car which is a 3.0L with no problem. I bought this for my wife and she uses it a lot. In addition to charging her phone, she has used it for jump starting several times. I also own a DBPower jumper (600A) and both have been excellent purchases. I keep mine under my car seat but this version is more portable so my wife can take it with her if she thinks her phone will need a boost. I do not write a review until I actually use a product. 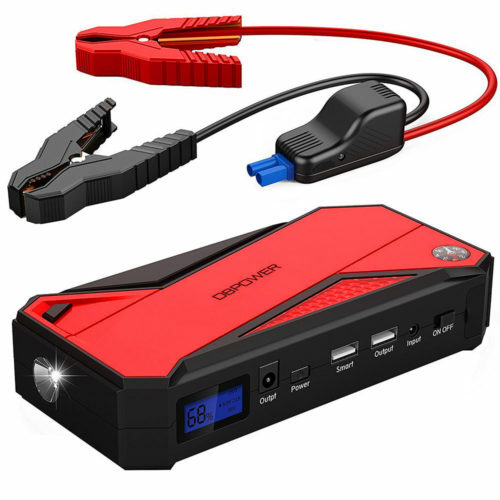 Yesterday was the 1st day I had an opportunity to try the portable jump starter and with that said is did in fact jump the car. 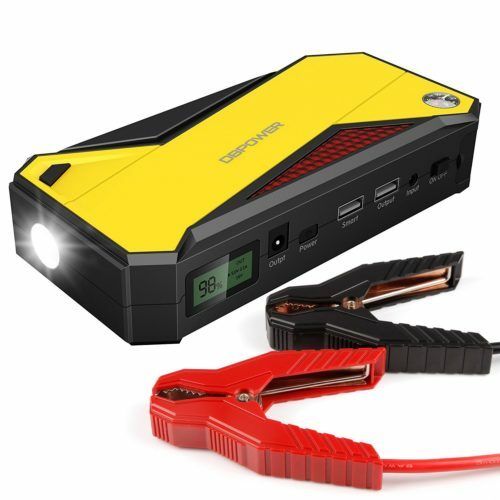 I have been reading reviews of some portable jump starters and want to give out some advice to anyone that will take it. Advice: If the car has an alarm and the battery is dead you might not get the car to start right up. The portable jumper should in fact set off the alarm. If and when that is the case please use the key-chain remote to unlock the doors and disable the alarm. Now the car will start. What I really like about this product more so than others is the little boost button. I was really disappointed in my experience with this product. It didn’t work so I sent it back. DBPOWER customer service reached out to me recently and sent me the updated model at no charge. Love the new model. Thanks for going above and beyond to make a customer happy. So far so good. Been able to start many cars. Charges my devices exactly as I expected, super long battery life. Going to try jump starting a vehicle with it today. I think it should work. I bought this to start my Honda Accord 4 cylinder and it worked perfect. 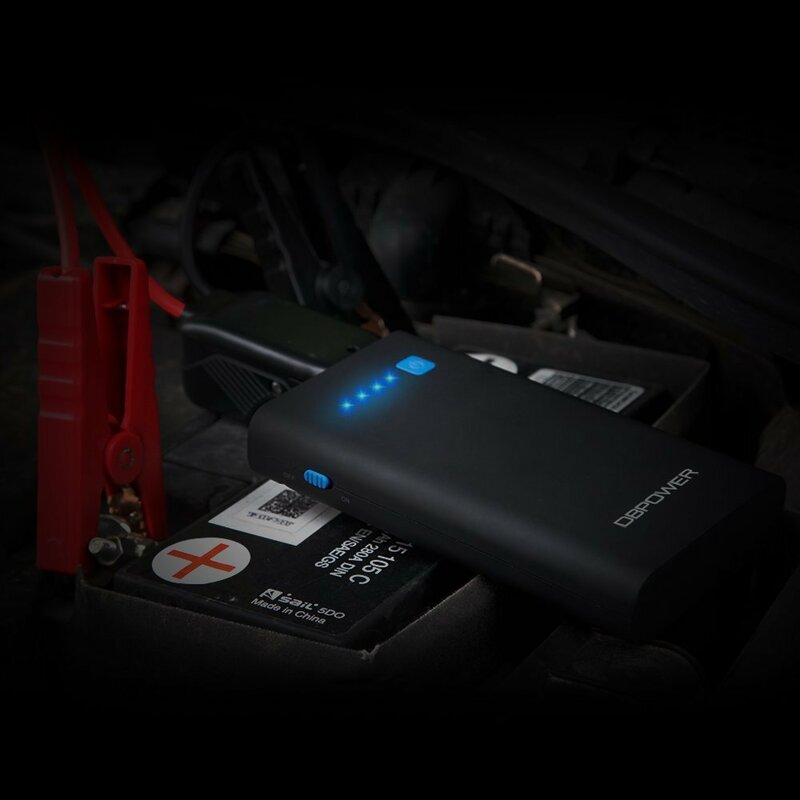 I charged this portable battery for 3 hours and started my car without any problem. Will update if my device becomes defective. The packaging of this product is awesome, and the product feels very high quality.